Giving gifts to kids from toddlers to teens can be a challenge. What do they really need? We asked our expert Traveling Moms to tell us what their well-traveled kids never travel without. What entertains, engages, and excites them? Here they are: the best travel gifts for kids this year! Finding the perfect gift for kids can be tough. With the holiday season fast approaching, we gathered our Traveling Moms together to determine which travel gifts for kids are the best. After much discussion, we were able to narrow down our choices to this list of 25. From toddlers to teens, we’ve got your kids covered! 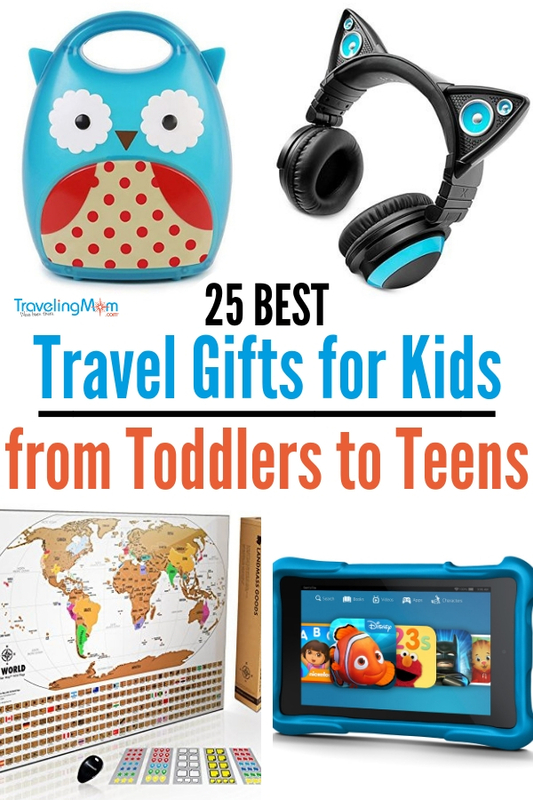 Here is our list of the 25 best travel gifts for kids. To begin our list, we look at our youngest family members. 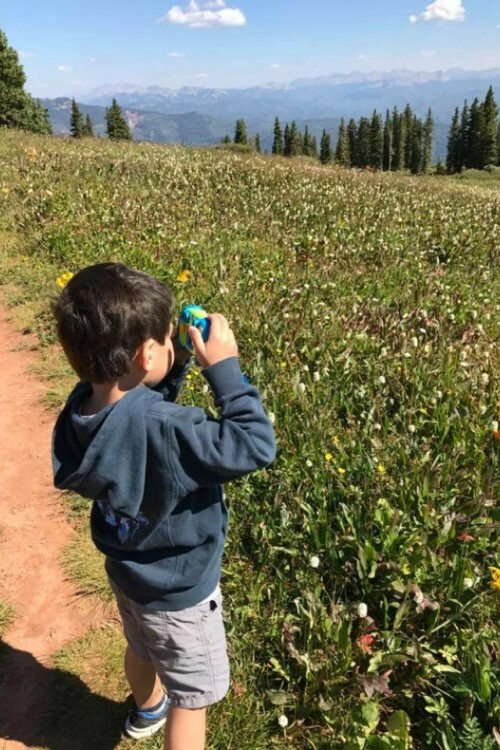 Traveling with kids 5 and younger means needing more hands-on entertainment that will keep busy minds, and hands, occupied. A must on car trips is a backseat organizer. Plenty of pockets for toys, electronics, and snacks! Backseat organizers keep everything in reach and keeps the vehicle floor clean and uncluttered. Ever heard of a Boogie Board? I hadn’t either until my mother-in-law picked one up for my kids! These cool boards are electronic notepads. Simply write or draw on them, click a button to erase, and start again! The best part of the Boogie Board is that it’s one piece with an attachable pen. I love not having to keep up with a million pieces of something! Would you let your kids handle a camera? Kristi, our Multidimensional TravelingMom, would! In fact, her son loves his VTech Kidizoom Camera Pix so much, he takes it everywhere they go. 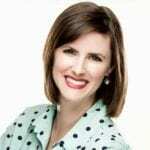 Fabulously Frugal TravelingMom Hannah swears by Re-Play Recycled kids tableware, sippy cups, and snack containers made out of recycled plastic. Hers have held up going on 4 years and she travels with them often. Dock a Tot is on the wishlist of many new moms this year. It replaces the need for a Pack ‘n Play and makes co-sleeping safe for little ones. Soyee Magnetic Blocks promote STEM learning and are just plain fun. Road Warrior TravelingMom Nasreen says every one of her kids from the two-year-old to the eight-year-old plays with these blocks on their road trip. Sometimes good, old-fashioned sticker and/or coloring books do the trick. Check out these Melissa & Doug Puffy Sticker Activity packs or their Water Coloring and Painting books! Next, we look to children ages 6-9. Engagement is key with this demographic. Kids may not want to admit it, but sometimes sleeping in a room that isn’t theirs can be a little unnerving. Take along this adorable Skip Hop Zoo Owl nightlight that will help them feel right at home. My girls love to scratch things off, and the Landmass Travel Tracker Map is an interesting way to involve them in learning through travel. This innovative map comes with stickers to further customize the map for your family. Tweens and teens would probably love this gift too! Have a child who wants to be just like their older sibling? Kathy, Debt Free Traveling Mom, says her son loves this Iron Man charger for his tablet. It keeps that battery going! Both Leslie, Frequent Flier TravelingMom, and Kendra, Long Weekend TravelingMom, have kids who proudly tote their luggage through the airport like pros. You can’t go wrong with colorful characters, both classic and pop culture ones, that will delight little travelers and hold up over multiple trips. Crayola’s Light Up Tracing Pad is a bit more advanced than the scratch art pads. Tracing is a great skill that develops patience and hand-eye coordination. The pad’s super slim design makes carrying it for travel simple and easy. 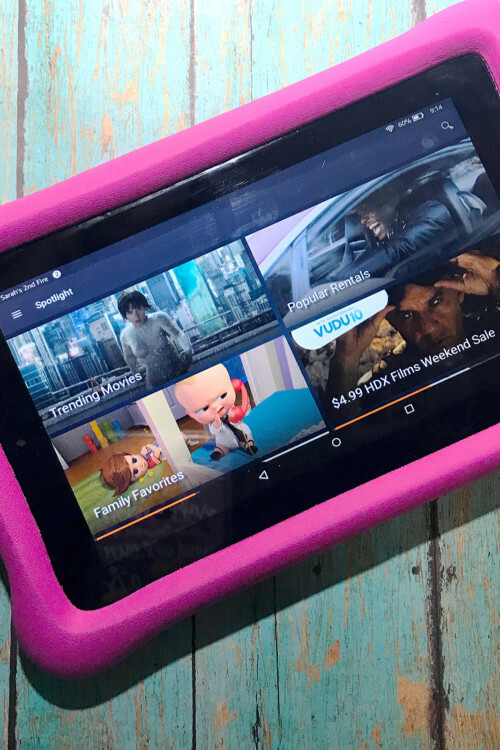 We can’t live without our Kindle Fire HD 10 Kids Edition. 1 year of Amazon FreeTime Unlimited, a Kid-Proof Case, plus a 2-year worry-free guarantee? Parents everywhere are hearing angels sing. Memory Making Traveling Mom Becca says her favorite gift is a GPS enabled watch. “They are usually available through your mobile carrier and service can be as little as $5/month. Totally worth it in case you get separated, ” she says. If your child isn’t quite ready for a smartwatch, check out these Tile Mate GPS trackers. They work on everything from keys to bags to backpacks and more. Another somewhat challenging group to give gifts to is kids between ten and thirteen. Tweens are not quite teenagers, but no they are longer willing to be grouped in the “little kid” category. 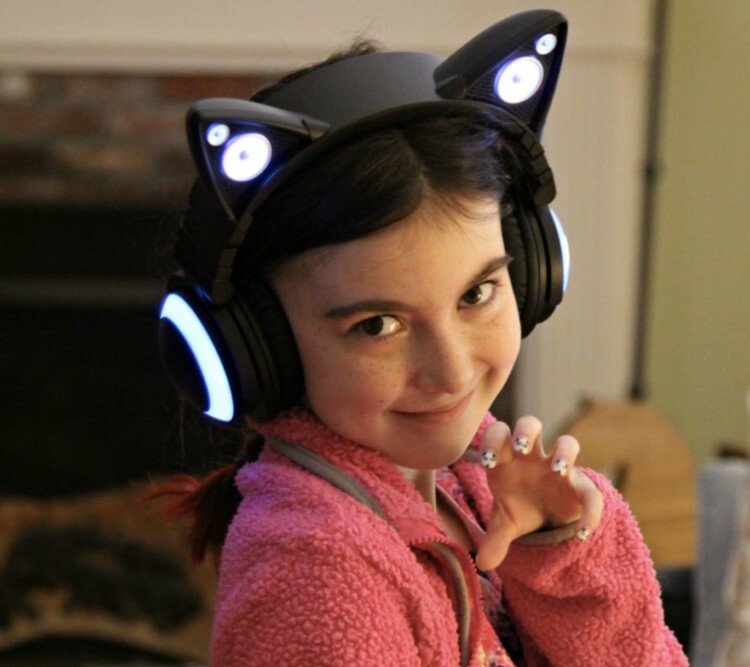 Jennifer, Fitness TravelingMom, says her daughter loves her MindKoo Unicat Kids Headphones. I mean, who wouldn’t love them? Cute and functional gifts are awesome! Real Kids, Real Places books are a great series of books. These mystery novels incorporate history, geography, culture and cliffhanger chapters that will keep kids begging for more! Have a budding writer in your family? Give the gift of memories in written form with this Travel Journal from Lonely Planet Kids. There is plenty of space for drawing, writing and coloring! Long car rides or plane flights might equal boredom, but they don’t have to! This awesome lap desk has a spot for mobile devices and easily fits laptops up to seventeen inches. We know our readers love our National Parks, and this incredibly popular National Parks board game is perfect for kids ages ten and up! Finally, as I do not have teens at home, I had to rely heavily on the expertise of our Traveling Mom family for this travel gift category. These are the best gifts for kids ages thirteen to eighteen. A sometimes overlooked travel gift for teens is gift cards. 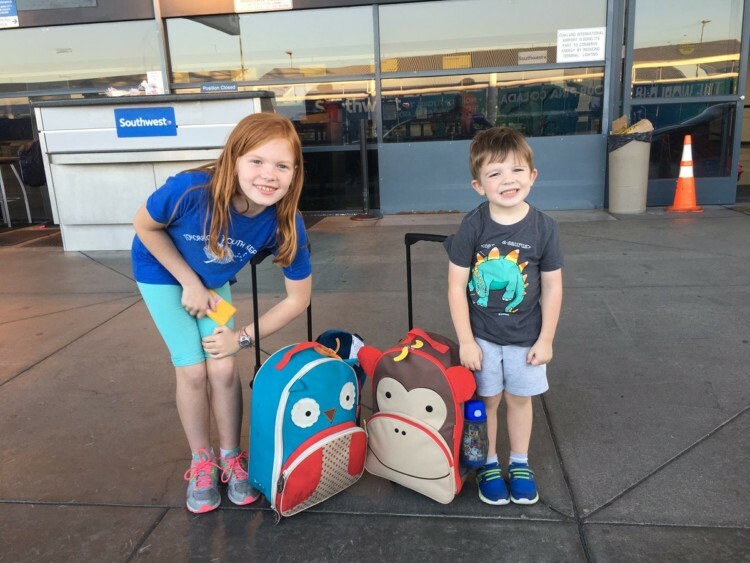 Active Traveling Mom Kimberly says that her kids love this gift because they can load up their devices with entertainment of their choice before it’s time to travel. 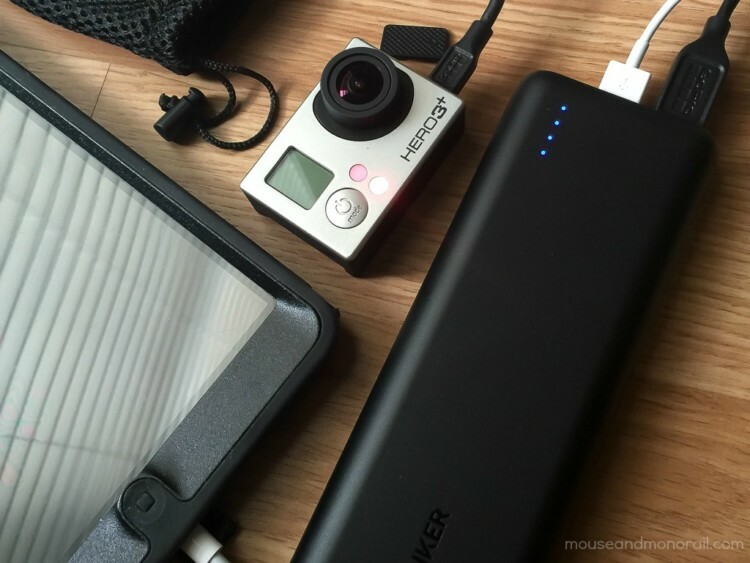 Speaking of devices, go ahead and add a portable charger like the Anker PowerCore 10000. Its small, compact design allows it to charge devices 2-3 times before it needs to be recharged itself. Dana, one of our Luxe Traveling Moms, says her teens don’t travel without their Sea to Summit Travel Liner and Eno Hammock. These two items are crucial for backpackers who need a quick way to prepare their sleeping quarters. Teens need their sleep, but instead of gifting a bulky, hard-to-pack blanket, give the blanket scarf a try. It doubles as a fashion accessory and a warm wrap. Headphones are a must for teens. RockPapa Over Ear Stereo Headphones were recommended by Andrea, Indulgent Traveling Mom, as some of her kids’ favorite headphones. Becca, Memory Making Traveling Mom, and Kathy, Debt Free TravelingMom, both recommend the HP Sprocket Portable Photo Printer. This cool device lets teens take photos and print them out instantly. Purchase HP Zink Sticker Photo Paper, and the photos become a great way to personalize other travel gifts. 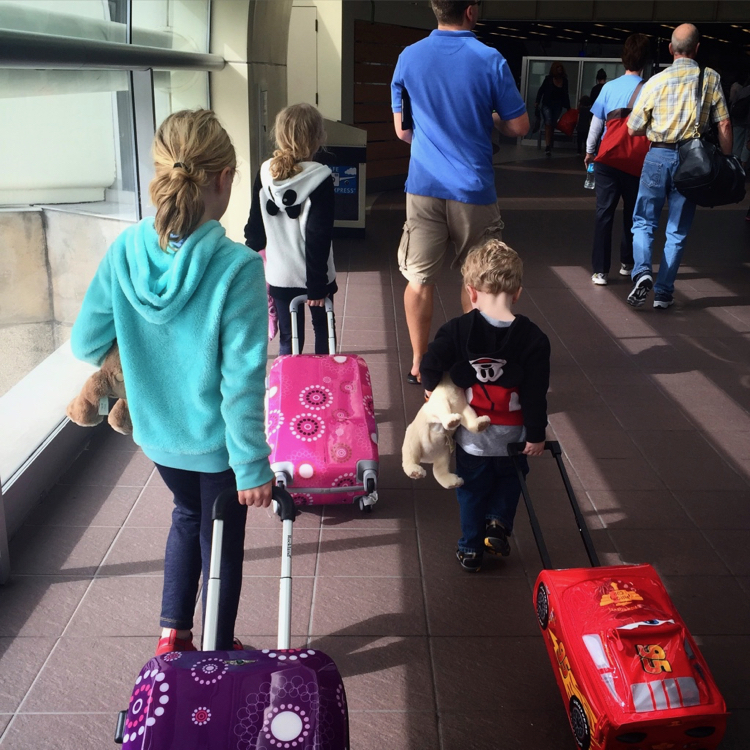 We’d love to hear your favorite travel gifts for toddler, tweens, and teens. Share yours with us in the comments!